Foods and substances with deep color or chemicals can change the color of your teeth. If medications, consumables, genetics, or smoking have damaged your pearly whites, it’s time to see your dentist about professional tooth whitening. Beautiful white teeth will help you convey a confident image in your social and work life. You can improve various aspects of your life and your sense of self with one simple whitening procedure at Discovery Dental. Some patients prefer to avoid time in the dental chair by choosing take home teeth whitening. We provide a way for you to achieve professional results from the comfort of your own home. You can whiten at a time and location that is convenient for you with custom-made whitening trays. All you have to do is come into Discovery Dental for a commitment-free whitening consultation. 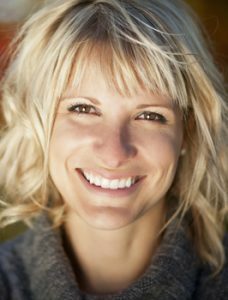 our office or Dr. Mersha will help you determine which whitening method and shade will give you the smile of your dreams. They will then use impressions of your teeth to create see-through trays that you can fill with our effective whitening formula and wear around your home. Want to see stunning smile results fast? There’s no faster way than with Zoom in-office whitening. Zoom incorporates 4 fifteen-minute whitening sessions conducted by your experienced dental professional. After just one hour in the dentist’s chair, your smile can be a full 8-10 shades lighter! Don’t settle for the discomfort and slow progress of over-the-counter whitening methods. We can create a whitening program that is customized to meet your smile goals. Give us a call today to schedule your consultation with our warm and welcoming team!